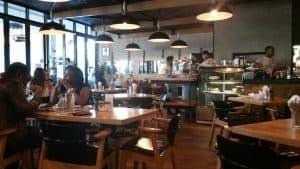 If you are looking for a great place to grab a bite to eat after a long day at the office, or if your on holiday and just looking for somewhere to relax and have a great meal, then take a look at our list of great restaurants in Hillcrest. One of the best ways to relieve stress is to treat you with some delicious food. 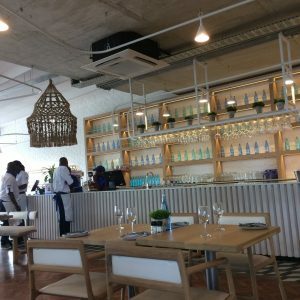 If you are a food lover, Hillcrest near Durban has some of the best places in the country, and maybe the world, to eat and drink to your hearts content. We have put together a list of favourite venues that we frequent, and our customers have really enjoyed. There is something for every taste bud. Give them a try, you won;t be disappointed. 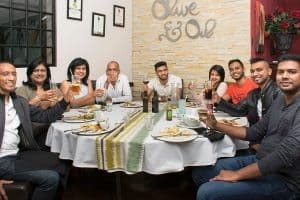 Olive and Oil restaurant is located on Old Main Road, on the ground floor of Lilies Lifestyle Center. The restaurant not only offers delicious and irresistible food, but a relaxing ambience for a relaxing dinning experience. It is the perfect place where you can spend time eating with your family, friends or special someone. One of the best features of the Olive and Oil restaurant is that it comes with a cosy fireplace for those cold winter nights and great atmosphere. It’s a family based Mediterranean restaurant with an emphasis on good quality food and great value for money. The restaurant caters for all tastes, and do a wide array of dishes from seafood to grills. They also cater for Vegetarians, as well as children, with a great kiddies menu. Mythos is also among the top choices of food enthusiasts in Hillcrest. Here, you can enjoy authentic Greek cuisine that you will surely love. It comes with contemporary setting that features a Grecian cafe on the Mediterranean Sea. Whether you are going to celebrate a momentous occasion, event or just a romantic meal, this restaurant can offer your everything you need. The head chef of Mythos uses her wealth of experience and family recipes from Greece, to offer a quality dining service. 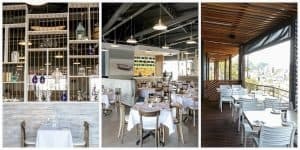 Mythos are recognised as one of the Best Greek Restaurants in South Africa. They also receive the awards of being the Best Neighbourhood Restaurant, as well as the Best New Restaurant from 2015, 2016, and 2017. Mythos’s main focus is about sharing the warmth of their unique Greek culture and tradition with you. Give them a try you won’t be disappointed with the food. Mo-Zam-Bik is one of the best restaurants in Hillcrest. It is located in 9 Inanda Road Shop 12, Elangeni Center, Hillcrest. With their consistent effort, they gained a Certificate of Excellence from 2015 to 2018. They offer delicious food that is hard to resist. They offer a delicious Afro-Portuguese cuisine that is out of this world. In addition to their famous Portuguese recipes, you can also try their special vegetarian-friendly meals. Mo-Zam-Bik offer lunch, dinner as well as late night meals. The restaurant has a warm and welcoming atmosphere that will make you feel comfortable no matter the time of day. They also have an accommodating and friendly team, to help you have the best dining experience at their restaurant. They have an extensive range of seafood dishes from line fish to prawns, as well as great steaks for those looking for something a bit meatier. So if your looking at eating somewhere that lets your mind escape to being in Mozambique, with white sand and crystal clear water, this is the place for you. Oscars Café is one of the most recognized restaurants in Hillcrest. They can serve you with local cuisine, European cuisine, café, deli as well as vegetarian-friendly meals. One of their most popular meals is salad and chicken with peri peri sauce. Oscars Café is the perfect place if you need food for a special event, as they can accommodate large groups. The restaurant located on Old Main Rd. Lilies Lifestyle Center Shop 7, Hillcrest South Africa. They offer breakfast, dinner, lunch, brunch and late night meals. Their staff and management will always make sure you are their number one priority, so you have the best possible dinning experience. The food is also reasonably priced. So all in all a great place to visit. Do you love pizza? Are you a vegetarian? Then, Lupa Osteria is the best Hillcrest restaurant for you. They offer Italian cuisines, gluten-free options, and vegetarian-friendly diets. You can enjoy late night, brunch, dinner and lunch meals. Lupa Osteria can be found in 14 Old Main Road, Hillcrest 3610 South Africa. 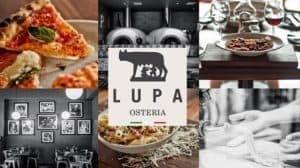 Lupa Osteria serve tasty and fantastic food. They offer thin based, delicious and wood-fired pizza that is perfect for pizza lovers. Your food adventure in Hillcrest will not be complete if you don’t try the foods of Lupa Osteria. If you love seafood, they provide daily caught fresh shellfish and line fish. Their menu has so many options for food that you will be spoilt for choice. Their food is cooked in the best quality because they don’t want to disappoint their valued guests. They have friendly staff that are warm and friendly. The food is reasonably priced. The ambience is also excellent , making for a great dinning experience. Stretta is located at 50 Old Main Road Hillcrest. They offer Italian inspired dinning and are vegan and vegetarian-friendly. 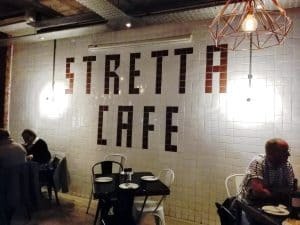 They can offer pizzas, pastas and grills complemented by craft beers, quality wines, cocktails and great coffee in a warm and welcoming space. You won’t be disappointed with their tremendous menu and quality service. They serve breakfast, dinner, brunch, lunch and late-night meals, so there is always time to pop in and taste what they have to offer. Their amazing foods are made with the highest quality ingredients to achieve the best quality and taste. The restaurant also has a relaxing atmosphere to give that authentic Italian experience. If you want to have a great meal during your visit to Hillcrest, you must visit the Jack Salmon Fish and Grill. It is located at 51-53 Old Main Road in Hillcrest. The restaurant is famous because of their delicious and tasty grill, seafood, as well as sushi. They also offer special meals which are suitable for vegetarians. Aside from their remarkable and irresistible food, you will be impressed by their great customer service. They have a team that are always committed to providing their customers with friendly and efficient service. 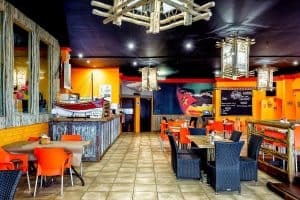 The restaurant is able to serve large groups, and is also a perfect option to spend quality time with your family and friends, or that someone special. In addition to the quality of food they serve, you will love the chic and modern decoration of the place. This is one place you will definitely visit again and again. If you want to enjoy a great meal in Hillcrest, you must try the delicious food at Butlers Restaurant and Event Venue. They offer a tasty menu and a luxurious dining experience. The team at Butlers Restaurant and Event Venue are very friendly and off great customer service. They serve lunch and dinner, and the restaurant has a very relaxing and warming atmosphere. They can also accommodate a large number of guests, for those special events you have in mind. The restaurant understands that food is one of the best things to relieve stress. With that, they guarantee their customers that the food they serve are made with the top quality ingredients, so you enjoy delicious food in a luxurious environment. 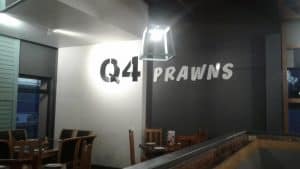 Q4 Prawns are famous for their sushi and seafood dishes. The restaurant has an excellent atmosphere and can handle a large number of guests. It’s is an ideal venue for celebrating special occasions like birthdays, anniversaries and more. The restaurant is very well laid out with a relaxing atmosphere. They serve really great food at a reasonable price. They offer some of the best sushi in the country and is definitely a dish you need to try. Conscious Café at the Castle is located at 45 Old Main Road, Hillcrest. 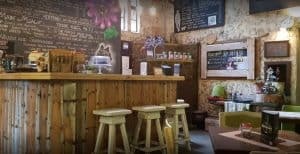 They are a Vegetarian and Vegan café that serves freshly squeezed juices, smoothies, fair-trade coffee and teas, as well as wraps, sandwiches and salads. Their wraps are made daily in-house, the bread is freshly baked with a live culture yeast and their sauces, dips and dressings made from scratch. They use only the finest ingredients available. They are open for lunch, breakfast and brunch. It’s a relaxing place to have a meal and you can enjoy the castle and gardens while you are there. You will not be disappointed because their team can deal with their customers in the best and most professional manner. The Café hosts evening concerts with local and international artists, as well as film evenings, Chanting groups, Drum Circles and more! 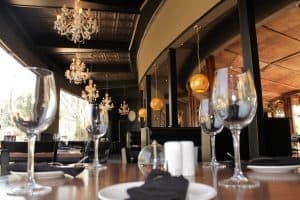 They have an ever changing exciting line-up of events and plans, and take great pride in bringing our community something different and unique each month.Take the time to check it out, their food and service are world-class.